L-6 Engines. 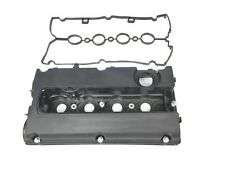 1963-1970 Chevrolet Valve Cover 194,230,250 & 292. GM 3980229/Group 0.386. Original Used GM Part. Bloque CHEVROLET AVEO BERLINA CON portón ls, Año: 2011. Referencia : A12XER, Observaciones: Sin pistones y sin cigueñal. Nós podemos verificar isso. Wir können es überprüfen. Nous pouvons le vérifier. DAEWOO CHEVROLET AVEO MATIZ KALOS SPARK 1.0 1.2 HEAD GASKET SET. CRUZE (J300) 1.7 131cv. CRUZE (J300) 1.7 110cv. CRUZE Station Wagon (J308) 1.7 110cv. CRUZE Station Wagon (J308) 1.7 131cv. WILMINK (WG1054657). TOPRAN (203187). SWAG (40903203). JPG (1210150400). Mr Gasket 1588. SB Chevrolet. Timing Tape Small Block Chevrolet - 6-3/4"" Dia. 6-3/4"" Dia. Avoid trouble with this precision timing tape. Use it for accurate timing, setting valve lash or when degreeing the harmonic balancer. Varilla aceite CHEVROLET AVEO BERLINA CON PORTÓN LS, Año: 2011. Referencia : 55574244. Nós podemos verificar isso. Wir können es überprüfen. Nous pouvons le vérifier. Freno de mano electrico CHEVROLET CAPTIVA 2.0 VCDI LT, Año: 2006. Referencia : 20951996, Observaciones: Motor freno de mano electrico 1 conexion. No se realizan envíos internacionales en territorio insular. CHEVROLET 96591281. Fitting Position : Rear. VW Bus T1 T2 T3 Käfer 4 Chrom Radkappen Radkappe Mooncap Moon Cap RetroEUR 48,00. Neuteil in Erstausrüsterqualität. Flammscheibe Hitzeschild Dichtung Einspritzdüse Neuteil in ErstausrüsterqualitätEUR 1,00. 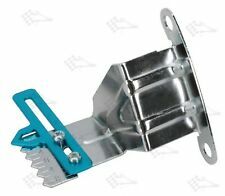 Deposito servo CHEVROLET LACETTI SE, Año: 2005. Referencia : 96451797. Nós podemos verificar isso. No se realizan envíos internacionales en territorio insular. Nous pouvons le vérifier. Daewoo Chevrolet Tacuma 1.6 1.8 Petrol 2000-2010. Junta, tapa de culata Elring. Culata cubrir material plástico; Caucho. Seguidor de leva de eje de balancín FEBI OPEL ASTRA F G CORSA A B KADETTE D E etcetera. Si este artículo compatible con su coche, retire complacer a partir de la lista de aplicaciones del vehículo por el. Mr Gasket 1591 cinta de sincronización Chevrolet V8-diámetro 8"
Mr Gasket 1591. Timing Tape Chevrolet V8 - 8" Dia. Chevrolet V8. Avoid trouble with this precision timing tape. Use it for accurate timing, setting valve lash or when degreeing the harmonic balancer. Varilla aceite CHEVROLET CAPTIVA 3.2 V6 LTX, Año: 2006. Referencia : 93743510. Nós podemos verificar isso. Wir können es überprüfen. Nous pouvons le vérifier. Chevy LSX V8 (LS1, LS2, LS6 etc). Set of A2-70 / 304 Stainless exhaust headers bolts and washers for Chevy's Gen III / Gen IV LSX family V8 engine. This includes the LS1, LS2, LS6 amongst others. Whether in a kit, a special, a Camaro, Corvette, Monaro, VXR8 or whatever, this should be the correct kit for you. DAEWOO LANOS SENS 1.4 1.5 SOHC 8V 97-04 HEAD GASKET SET. Set of A2-70 / 304 Stainless bolts and washers to replace the sump pan / oil pan bolts on Chevy's legendary Gen III, 5.7l LS1 V8. It should also fit the 6.0 LS2 as found in later versions of these cars and the Vauxhall VXR8. Set of A2-70 / 304 Stainless bolts and washers to replace the water pump / thermostat housing bolts on Chevy's Gen III / Gen IV LSX family V8 engine. This includes the LS1, LS2, LS6 amongst others. So, whether in a kit, a special, a Camaro, Corvette, Monaro, VXR8 or whatever, this should be the correct kit for you. DAEWOO CHEVROLET KALOS AVEO 1.4 8V F14S3 2002-04 HEAD GASKET SET. Whatever the problem, we will stay with it until it is resolved and you are satisfied. Warranty covers the part only! 1x New Idle Air Valve. 1985-1986 BUICK CENTURY L4-2.5L. 1986-1988 BUICK CENTURY V6-3.8L. Umlenkrolle Führung. Benzinhahn für MZ R.
1995-2005 Chevrolet Astro Van with A.C. Serpentine Drive Belt. 1995-2005 GMC Safari Van with A.C.
Deposito servo Chevrolet kalos 1.2 se, Año: 2006. Referencia : DEPOSITO LIQUIDO DIRECCION, Observaciones: Deposito de liquido de direccion Código interno: 254816. Si no encuentra la versión que necesita nos esforzaremos en conseguirla. Varilla aceite CHEVROLET KALOS 1.4 SE, Año: 2005. Referencia : 96376263. Nós podemos verificar isso. No se realizan envíos internacionales en territorio insular. Nous pouvons le vérifier. Daewoo Lanos 1.3 1.4 1.5 1997-2006. Chevrolet Spark 0.8. KIT DISTRIBUZIONE. INFO al349 1587143. anche introvabili ! ricambi per auto d'epoca. Si prega di. OPEL CORSA B (73_, 78_, 79_) 1.0 i 12V 11.96 - 09.00 40 54 973 0039-167. OPEL CORSA B (73_, 78_, 79_) 1.0 i 12V 11.96 - 09.00 40 54 973 0039-168. OPEL CORSA B (73_, 78_, 79_) 1.2 i 16V 03.98 - 09.00 48 65 1199 0039-175. VAUXHALL ANTARA 2006-11 2.0DT Fd Est - CDTi 4 x 4 5 MTM ATM Z20 A63F 05/07>05/11. CHEVROLET CAPTIVA 2006-11 2.0DT - VCDi 4 x 4 5 MTM ATM Z20 C 26 05/07>12/11. CHEVROLET CRUZE 2.0DT Sal - VCDi - J300 FWD 5 MTM ATM Z20S1 J 69R 07/09>12/10. 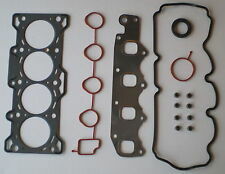 DAEWOO CHEVROLET HOLDEN TACUMA EPICA EVANDA 2.0 T20SED4 2000 on HEAD GASKET SET. FOR CHEVY V8 ENGINES SBC 265 283 305 327 350 400 ETC. INLET INTAKE manifold. BOLTS, 12 STAINLESS STEEL HEXAGON HEAD BOLTS. STAINLESS STEEL. CHEVROLET MATIZ (M200) 0.8 i 38kw. CHEVROLET - MATIZ (M200, M250) - 0.8. CHEVROLET - MATIZ (M200, M250) - 0.8 LPG. DAEWOO - MATIZ (KLYA) - 0.8. CHEVROLET - SPARK - 0.8. KIT CINGHIA DISTRIBUZIONE. ADATTABILITA' DEL KIT SUL VOSTRO VEICOLO. GATES timing belt for CHEVROLET EPICA 2.0i 24v 2006 onwards,CHEVROLET EVANDA 2.0i 16v 2005 onwards,CHEVROLET LACETTI 1.8i 16v 2005 onwards,CHEVROLET NUBIRA 1.8i 16v 2005 onwards,CHEVROLET REZZO/TACUMA 2.0i 16v 2005 onwards,DAEWOO EVANDA 2.0i 16v 2002 to 2005,DAEWOO LACETTI 1.8i 16v 2003 to 2005,DAEWOO LEGANZA 2.0i 16v 1997 to 2004,DAEWOO MAGNUZ 2.0i 16v 2002 to 2005,DAEWOO NUBIRA 1.8i 16v 2003 to 2005,DAEWOO NUBIRA 2.0i 16v 1997 to 2002,DAEWOO REZZO/TACUMA 2.0i 16v 2001 to 2005. CHEVROLET SPARK. SPECCHIO RETROVISORE SINISTRO. Chevrolet Equinox 2010-2015. Chevrolet Malibu 2007-2014. Chevrolet Equinox 2010 / 2011. Chevrolet Malibu 2007 / 2008 / 2009 / 2010 / 2011. Nos esforzamos para ser un vendedor estrella cinco en cada área de la calificación de vendedor detallado. CONTINENTAL CTAM - 6PK1893 / 6PK1893. GATES - 6PK1893 / 6PK1893. OPEL - 4808188 / 4808188. OPEL - 55577367 / 55577367. OPEL - 96628792 / 96628792. SAAB - 4395430 / 4395430. BMW - 11287803476 / 11287803476. VAUXHALL PART NUMBER: 96627278. TO FIT: VAUXHALL ANTARA / CHEVROLET CAPTIVA (UP TO & INC2010). We have 40 years Vauxhall experience and use General Motors / Vauxhall Electronic Parts Catalogue to check suitability, but you must ensure a qualified and competent technician checks and fits your part. FOR CHEVY V8 ENGINES SBC 265 283 350 400 ETC. INLET INTAKE manifold. CAP HEAD ALLEN KEY SOCKET BOLTS. BOLTS, 12 STAINLESS STEEL. STAINLESS STEEL. Timing Chain Kit Cloyes Cadillac Buick Chevrolet Daewoo Pontiac Saturn. Timing Chain Kit For 3.0L 3.6L 2007-2015 Cadillac Buick Chevrolet Saturn Pontiac. 2008-2008 BUICK ENCLAVE 3.6L 217CID V6 DOHC. 2009-2013 BUICK ENCLAVE 3.6L 217CID V6 DOHC. NEUE Vakuumpumpe für Chevrolet Orlando Cruze 2.0 D. Die Vakuumpumpe ist Neu aber 1 x montiert gewesen ! CHEVROLET CRUZE (J300) 2.0 CDI Stufenheck 08.10 120 163 1998 8260-ACJ. CHEVROLET CRUZE (J300) 2.0 CDI Stufenheck 08.10 120 163 1998 8265-ABP. SISTEMA de la Junta DAEWOO CHEVROLET AVEO KALOS 1.4 8V cabeza F14S3 2002-04.